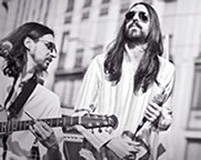 SaltyBros perform the best of classic rock with intriguing arrangements in acoustic versions. 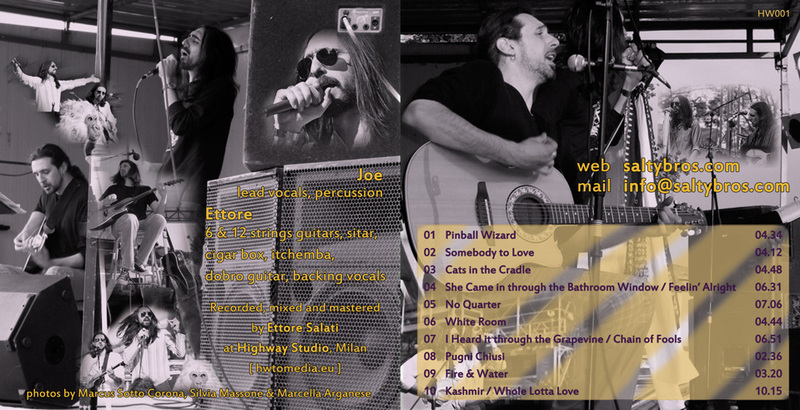 After some years on the road, playing live in several different venues, the two guys decided to witness these experiences releasing a studio album. The attempt was to catch the intensity of their live performances, and the challenge was won! "A Chest Of Goldies" features ten songs, chosen among the best that '60 and '70 rock can offer: Led Zeppelin, The Who, Cream, Free, Jefferson Airplane, The Beatles, and also a couple of acoustic soul tunes by Marvin Gaye and Aretha Franklin. Even if SaltyBros is an acoustic duo, you can experience the power, the dynamics, the energy of two skilled musicians that are playing their favourite rock songs. Moreover, unusual arrangements and unusual stringed instruments add to these tracks a peculiar flavor.